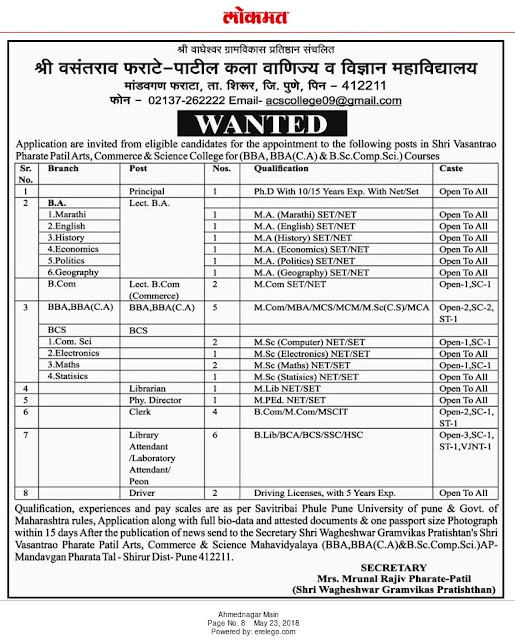 Shri Vasantrao Pharate Patil Arts, Commerce and Science College, Pune has advertised in LOKMAT newspaper for the recruitment of Lecturers plus Principal job vacancies. Interested and eligible job aspirants are requested to apply with in 15 days. Check out further more details below.